Acne and Aunt Flo—two of the things we love most in life. Kidding. Alas, unless you've managed to make it through life with some kind of Superwoman pimple- and zit-resistant chip the rest of us lack, well, the two are often inextricably linked. Acne, of course, is an extremely complicated beast with almost too many causes to count. From the wrong type of routine for our skin type to food allergies and sensitivities to genetics, the cause of breakouts can be hard to determine, let alone control or treat. Why do you think we have so many articles centering on the condition? Unpredictable breakouts are frustrating without a doubt—especially the ones that pop up mere hours before a hot date—but even the ones we usually can expect (aka the menstrual variety) can be just as aggravating. Oftentimes, we know they're coming, but it can be hard to know which of the four menstrual phases puts us most at risk for the appearance of an unfriendly friend and how exactly we can hack our self-care and product repertoire to nip them in the bud (or at the very least, treat them effectively). So we decided to take care of that! After all, the holiday season and all of its photo-opp festivities are officially upon us, and we'd like to sport the best glowing skin we can, thank you very much—menstural breakouts, be damned. Ahead, we ask three different skin experts to break down the four different menstrual cycles, their effect on our hormonally vulnerable complexions, and how, Lord help us, we can effectively cope. Keep scrolling! Follicular (lasts seven to 10 days): Although menstruation is technically considered the "first" phase of our cycle from a hormonal perspective, Jennifer Herrmann, MD, FAAD, explains it’s easiest to begin decoding breakouts starting with the follicular phase, which is marked by a significant increase in estrogen. "Estrogen prepares the uterine lining for implantation but also positively impacts the skin," she explains. "Estrogen is responsible for improving the skin's barrier, increasing hydration, and stimulating collagen and elastin production. Together, these factors give skin a bright, young, and blemish-free appearance." In other words, the follicular phase is probably when your skin will have peak clarity and radiance. Ovulation (lasts three to five days): According to hormone expert Alisa Vitti's MyFlo app, there's a lot happening hormone-wise during the ovulation phase. First, there's a rise in follicle-stimulating hormone (FSH), followed by a rise in the luteinizing hormone (LH) which stimulates the follicle to release an egg. Estrogen continues to increase during this phase, while testosterone levels also begin to climb. Luteal (lasts 10 to 14 days): "Initially, hormones produce both estrogen and progesterone, anticipating needing to support a fertilized egg. But if fertilization fails, both of these hormones drop drastically toward the end of this phase," explains Herrmann. Additionally, testosterone will also be at its peak during this phase, so yes, your body has basically reached its boiling point as far as all skin-provoking hormones are concerned. "Progesterone is the major negative player during the first part of this phase, as it causes the skin to swell while also increasing oil (sebum) production," Herrmann says. "This, in combination with slightly higher body temperatures, creates a perfect environment for p acnes, the major bacterial culprit of acne, to flourish, thus leading to breakouts. Toward the end of this phase, as both estrogen and progesterone plummet, the skin can become dull and splotchy without the hydrating and barrier support functions of estrogen at play. Prostaglandins are also higher during this time, which can create more skin sensitivity—best not to wax or tweeze!" Menstrual (three to seven days): Ah, the phase when hormone levels decline quickly to their lowest concentrations. (There's always a silver lining, folks!) According to Herrmann, the simultaneous drop in acne-provoking hormones helps breakouts improve after the frat party–like conditions of the luteal phase. That said, she warns that skin might become dry and dull toward the end of our period until our estrogen levels kick in again to restart the follicular phase. But Is Your Acne Hormonal? As we've clarified above, women are most likely to experience menstrual-related breakouts during the luteal phase—aka right before our period starts—solely because this is when the most hormonal changes are occurring simultaneously. It will typically manifest in certain parts of the face. "Hormonal adult acne typically forms on the lower part of the face," reports Ronald Moy, MD, FAAD. "Classically, this includes the bottom of the cheeks and around the jawline, yet everyone's acne is different, so a breakout can range from blackheads, whiteheads, and small pimples that come to a head, or cysts." That said, Vitti explains that acne that occurs on the temple might signify hormonal imbalances stemming from liver congestion due to too-high levels of estrogen, and blemishes on the forehead might signal an unhappy gut. So while these aren't necessarily menstrual-related breakouts, it's helpful to be aware of it if you're trying to determine your own pattern of breakouts. In addition to managing lifestyle factors like reducing stress, loading up on sleep, and limiting dairy and sugar (even organic dairy contains hormones and sugar is pro-inflammatory! ), curating an expert-approved skincare routine to nip menstrual breakouts in the bud is experts' preferred method of treatment before investigating medications and prescriptions. Below, we outline some strategic product swaps and suggestions! During the luteal phase especially, Herrmann recommends dutifully removing any makeup at night and reaching for a cleanser with some type of exfoliating agent like salicylic or AHA acids. "This can help lift thick sebum and dead skin cells that lead to clogging," she explains. "During your menstrual cycle, your skin is healing from the breakouts that just popped up during the luteal phase. Skip abrasive scrubs and instead focus on hydrating with a quality moisturizer and healing the skin with a vitamin C serum," says Breana Wheeler, MSN, NP. 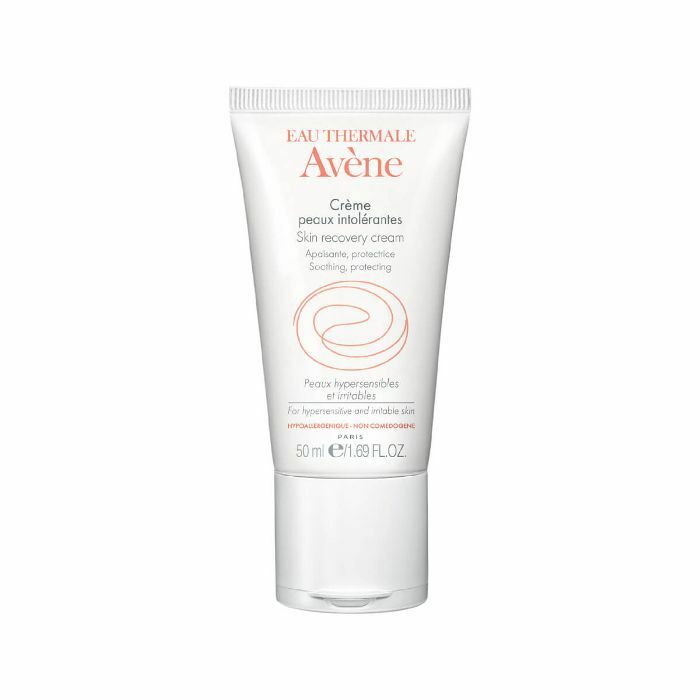 "Two options I love are IS Clinical Proheal Serum (for vitamin C) and Avène's Skin Recovery Cream (for a quality moisturizer)." "During the follicular phase, enjoy your clearer skin! 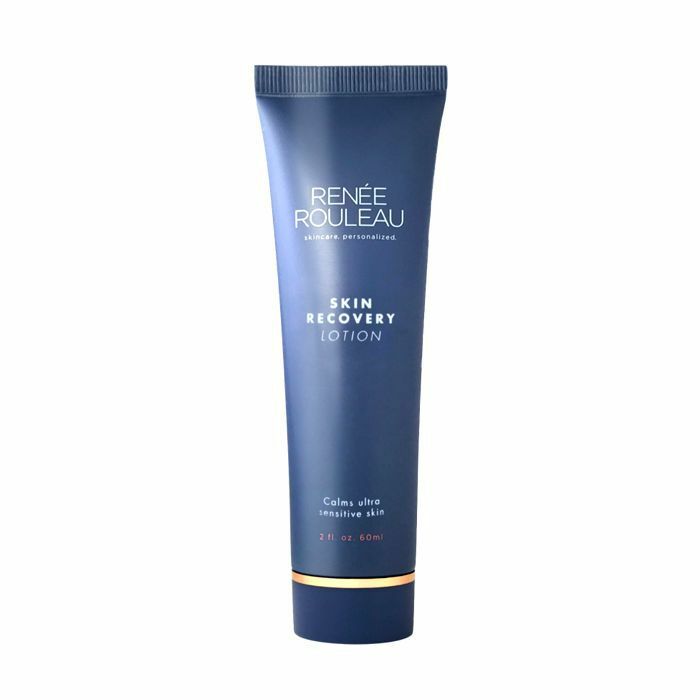 After ovulation, switch to a lightweight moisturizer like PCA Clearskin or Renée Rouleau's Skin Recovery Lotion," suggests Wheeler. "PCA's formula contains niacinamide which also combats breakouts," Wheeler adds. Last but not least, both Wheeler and Moy mention a retinoid as a dependable option when it comes to healing and preventing acne—menstrual and otherwise. 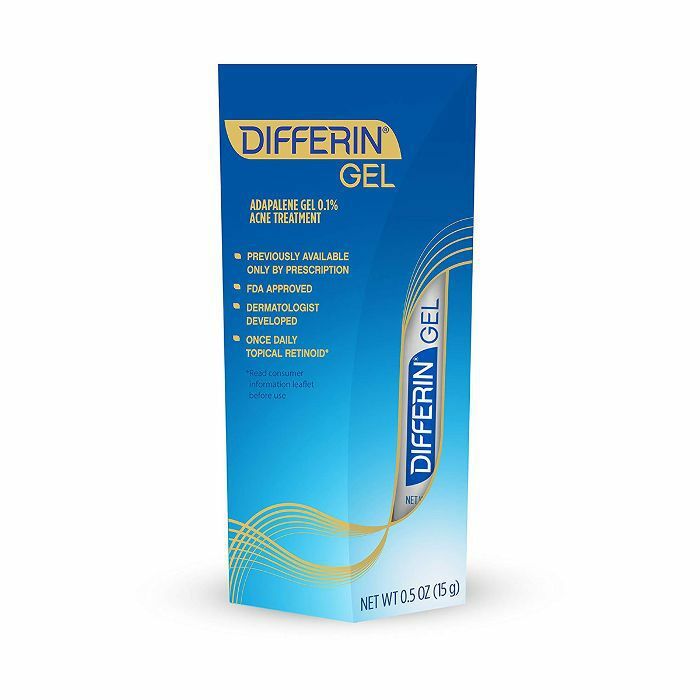 "If you struggle with acne, I highly recommend starting Differin gel," Wheeler says. 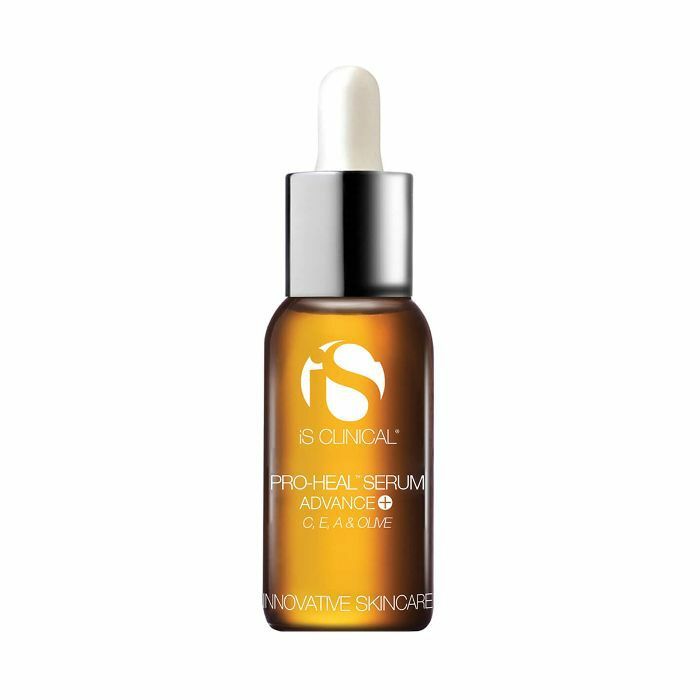 "It's a retinoid that treats and prevents acne, and I typically say to use it more frequently during the luteal phase and decrease to twice a week during the menstrual, ovulation, and follicular phases." Of course, it's imperative to do your research and to discuss options with your physician and/or a dermatologist, but birth control can be another option for those seeking relief from stubborn blemishes. "Oral contraceptive pills containing ethinyl estradiol plus either the progestin norgestimate, norethindrone acetate, or drospirenone are also FDA approved to improve hormonal acne," Moy cites. "However, one should avoid contraceptive pills for acne that contain androgenic progestins (i.e. norgestrel and levonorgestrel) because they can actually exacerbate breakouts." Additionally, if you have other symptoms like excess facial or body hair, and irregular or infrequent periods, you may also require additional testing and should go in to see a trusted healthcare professional.